In the decades following the second world war the United States created new agencies and departments to address a wide range of issues including intelligence, emergency response to disaster and disease as well as covert warfare both abroad and domestically. These converge on discovery of a new threat not only to the U.S. but to the fundamental nature of human society and physiology. Quincy Barns, a former U.S. Army Ranger and CIA paramilitary operative, learns that not only are vampires real but there is a professional combat force trained and equipped to face the threat they pose. 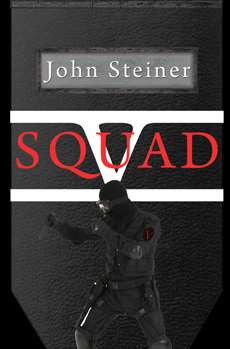 Once recruited into Squad Five Quincy faces enemies and inner dilemmas like nothing the hardened veteran can imagine. In Nineteen Seventy Nine President Jimmy Carter along with the National Governor’s Association set out to maximize the federal government’s response to emergencies. This required a new agency from which disasters could be managed from a centralized organization reducing the number of agencies and departments needed to jointly handle disaster control, relief and recovery. Along with the National Fire Prevention and Control Administration, National Weather Service Community Preparedness Program and many other agencies came the formerly Defense Department’s Defense Civil Preparedness Agency. This led to Executive Order 12148; the creation of the Federal Emergency Management Agency, FEMA. Originally standing for the Communicable Disease Center the CDC, the Center for Disease Control and Prevention started by opening the Office of Malaria Control in War Areas in Atlanta, Georgia under the mission of working with state and local officials. Over the decades it expanded its efforts to identify, record, track, treat and prevent other communicable diseases across the globe. Often this is in concert with FEMA. Since the Second World War the United States has not only engaged in surveillance and espionage against hostile and rival nations, but even neutral countries and allies. In doing so, they sought to uncover and understand any and all secret operations, military or paramilitary movements across the globe. Those they found and followed led to the need to reveal both the origins and purposes of foreign government activities. A few, proven to have mostly been carried out independent of each other yet possessed a common thread. A threat to the most fundamental levels of human biology had been revealed once more. Its origins, to this day, remain unknown. No matter the culture or political nature of these nations throughout recorded history the bulk of them responded in similar nature; eradication. The Sumerians mostly documented this plague but feared to confront it for their lack of capability, though the first sovereign emperor of China, Qin Shi Huangdi did not. A few of the later dynasties followed his example with the aid of the Shaolin, even if they otherwise had opposed each other in open conflict. In the second century A.D. the first of secret crucifixions were first carried out by the Roman Empire which were well out of character for their usual use of the torturous execution meant to set an example for all to see. This knowledge found its way into the two powers who owed their origins to the Romans. First, the Eastern Empire using a weapon specifically invented for the job. Yet Grecian Fire had later been lost to history. The second beneficiary, the Roman Catholic Church took up the cause centuries later, as did several of the Islamic powers around the same time; this amid fiercely fought crusades. Such strange and seemingly contrary alliances were by no means unique. Many of the earliest Shoguns of Japan, and their Samurai forces, who lived by strict codes of honor as written in the Bushido Code, found themselves forced to make packs with the most ruthless antithesis of all they stood for. Working in concert, scant few groups among the most elite of Samurai and the Ninja, the latter known for assassinations, lightning raids, theft, banditry, terror invoking and murder, fought the epidemic with the greatest effectiveness known in medieval times. Even indigenous peoples like the Lakota Dog Soldiers and an as yet unknown brotherhood of Masai, since lost to time, faced this menace and, with limited success, deterred it. This disease, whose effect united the best and worst of humanity against it, was as unique in pathology as it was lethal. The myth of the vampire proved all too real. Both the nature of the epidemic and the consequential behavior of those who carried it demanded a swift, overwhelming and ruthless response. Since the various mythologies surrounding the vampire failed to coincide and occasionally contradicted each other in how best to eradicate them the solution was for complete tissue destruction. Borrowing a roman numeral “V” to signify vampire; the concept of a secret force, or Fifth Column - the term originating in the Spanish Civil War - FEMA and CDC incorporated paramilitary personnel and units formerly operating under the authority of the Central Intelligence Agency, into a new fighting force. Retrained and reequipped, they fell under a new designation of Squad Five. As no member among these Squad Five units had active military records or a past disclosed to public records, they could be deployed to declared disaster sites to wage a secret war against formerly human organisms living in the shadows of civilization. The battle continues to this day.